The TC8000 is the ground-breaking all new warehouse mobile computer designed to deliver revolutionary productivity increases in the warehouse. In fact, on average, it saves 14% per worker versus the traditional form factors. It's like gaining an extra hour of productivity, per worker, per day. TC8000, EVM, TC8000, Premium, 80211 A/B/G/N, BT 40, NFC, 2D Imager Extended Range (SE4850), 8 MP Camera, 4" WVGA DISPLAY, 2/16GB, Android, PROXIMITY SENSOR, ACCELERomETER, GYROSCOPE, DIGITAL COMPASS, NoRTH AMERICA. Interface Cables And Charging Cradle Sold Separately. Single charging cradle (Part# CRD-TC8X-2SUCHG-01) Requires Power supply (Part# PWR-BGA12V50W0WW), DC Line Cord (Part# CBLDC-388A1-01), AC line cord (Part# 23844-00-00R) and USB Cable (Part# 25-124330-01R) for PC communication. For Quad charging dock (Part# CRD-TC8X-5SC4BC-01) Requires Power supply (Part# PWR-BGA12V108W0WW), DC Cord (Part# CBLDC-381A1-01), and AC line cord (Part# 23844-00-00R). TC8000, EVM, TC8000, Premium, 80211 A/B/G/N, BT 40, NFC, 2D Imager Extended Range (SE4850), 8 MP Camera, 4" WVGA DISPLAY, 1/8GB, Android, PROXIMITY SENSOR, ACCELERomETER, GYROSCOPE, DIGITAL COMPASS, NoRTH AMERICA. Interface Cables And Charging Cradle Sold Separately. Single charging cradle (Part# CRD-TC8X-2SUCHG-01) Requires Power supply (Part# PWR-BGA12V50W0WW), DC Line Cord (Part# CBLDC-388A1-01), AC line cord (Part# 23844-00-00R) and USB Cable (Part# 25-124330-01R) for PC communication. For Quad charging dock (Part# CRD-TC8X-5SC4BC-01) Requires Power supply (Part# PWR-BGA12V108W0WW), DC Cord (Part# CBLDC-381A1-01), and AC line cord (Part# 23844-00-00R). 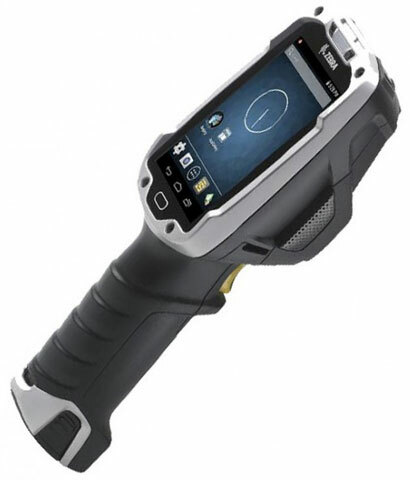 TC8000, STANDARD, Wi-Fi (802.11a/b/g/n), Bluetooth 4.0, 2D Imager Extended Range (SE4850), 4" WVGA Display, 1/4GB, Android Lollipop 5.1.X, Accelerometer, North America. Interface cables and charging cradle sold separately. Single charging cradle (Part# CRD-TC8X-2SUCHG-01) Requires Power supply (Part# PWR-BGA12V50W0WW), DC Line Cord (Part# CBLDC-388A1-01), AC line cord (Part# 23844-00-00R) and USB Cable (Part# 25-124330-01R) for PC communication. For Quad charging dock (Part# CRD-TC8X-5SC4BC-01) Requires Power supply (Part# PWR-BGA12V108W0WW), DC Cord (Part# CBLDC-381A1-01), and AC line cord (Part# 23844-00-00R). TC8000, Kit,TC8000, Standard, 802.11 A/B/G/N, Bluetooth 4.0, 2D ERI (SE4850), 4" WVGA Display, 1 GB RAM, 4 GB Flash, Android, Proximity Sensor, Accelerometer, FIPS, TAA. Interface Cables and Charging Cradle Sold Separately. Single charging cradle (Part# CRD-TC8X-2SUCHG-01) Requires Power supply (Part# PWR-BGA12V50W0WW), DC Line Cord (Part# CBLDC-388A1-01), AC line cord (Part# 23844-00-00R) and USB Cable (Part# 25-124330-01R) for PC communication. For Quad charging dock (Part# CRD-TC8X-5SC4BC-01) Requires Power supply (Part# PWR-BGA12V108W0WW), DC Cord (Part# CBLDC-381A1-01), and AC line cord (Part# 23844-00-00R). TC8000, LIKE NEW. PREMIUM, Wi-Fi (802.11a/b/g/n), Bluetooth 4.0, NFC, 1D Laser Standard Range (SE965), 8 megapixel Camera, 4" WVGA Display, 1/8GB, Android KitKat 4.4.3, Accelerometer, Gyroscope, Digital Compass, North America. Interface cables and charging cradle sold separately. Single charging cradle (Part# CRD-TC8X-2SUCHG-01) Requires Power supply (Part# PWR-BGA12V50W0WW), DC Line Cord (Part# CBLDC-388A1-01), AC line cord (Part# 23844-00-00R) and USB Cable (Part# 25-124330-01R) for PC communication. For Quad charging dock (Part# CRD-TC8X-5SC4BC-01) Requires Power supply (Part# PWR-BGA12V108W0WW), DC Cord (Part# CBLDC-381A1-01), and AC line cord (Part# 23844-00-00R). TC8000, LIKE NEW. ZEBRA EVM, TC8000, Premium, 80211 A/B/G/N, Bluetooth 40, NFC, 2D Imager Extended Range (SE4850), 8 megapixel Camera, 4" WVGA DISPLAY, 2/16GB, Android, PROXIMITY SENSOR, ACCELERomETER, GYROSCOPE, DIGITAL COMPASS, NoRTH AMERICA. Interface Cables And Charging Cradle Sold Separately. TC8000, LIKE NEW. ZEBRA EVM, TC8000, Premium, 80211 A/B/G/N, Bluetooth 40, NFC, 2D Imager Extended Range (SE4850), 8 megapixel Camera, 4" WVGA DISPLAY, 1/8GB, Android, PROXIMITY SENSOR, ACCELERomETER, GYROSCOPE, DIGITAL COMPASS, NoRTH AMERICA. Interface Cables And Charging Cradle Sold Separately. TC8000, LIKE NEW. PREMIUM, Wi-Fi (802.11a/b/g/n), Bluetooth 4.0, NFC, 2D Imager Medium Range (SE4750MR), 8 megapixel Camera, 4" WVGA Display, 1/8GB, Android KitKat 4.4.3, Proximity Sensor, Accelerometer, Gyroscope, Digital Compass, North America. Interface cables and charging cradle sold separately. Single charging cradle (Part# CRD-TC8X-2SUCHG-01) Requires Power supply (Part# PWR-BGA12V50W0WW), DC Line Cord (Part# CBLDC-388A1-01), AC line cord (Part# 23844-00-00R) and USB Cable (Part# 25-124330-01R) for PC communication. For Quad charging dock (Part# CRD-TC8X-5SC4BC-01) Requires Power supply (Part# PWR-BGA12V108W0WW), DC Cord (Part# CBLDC-381A1-01), and AC line cord (Part# 23844-00-00R). TC8000, LIKE NEW. PREMIUM, Wi-Fi (802.11a/b/g/n), Bluetooth 4.0, NFC, 2D Imager Standard Range (SE4750SR), 8 megapixel Camera, 4" WVGA Display, 1/8GB, Android KitKat 4.4.3, Proximity Sensor, Accelerometer, Gyroscope, Digital Compass, North America. Interface cables and charging cradle sold separately. Single charging cradle (Part# CRD-TC8X-2SUCHG-01) Requires Power supply (Part# PWR-BGA12V50W0WW), DC Line Cord (Part# CBLDC-388A1-01), AC line cord (Part# 23844-00-00R) and USB Cable (Part# 25-124330-01R) for PC communication. For Quad charging dock (Part# CRD-TC8X-5SC4BC-01) Requires Power supply (Part# PWR-BGA12V108W0WW), DC Cord (Part# CBLDC-381A1-01), and AC line cord (Part# 23844-00-00R). TC8000, LIKE NEW. STANDARD, Wi-Fi (802.11a/b/g/n), Bluetooth 4.0, 1D Laser Standard Range (SE965), 4" WVGA Display, 1/4GB, Android Lollipop 5.1X, Accelerometer, North America. Interface cables and charging cradle sold separately. Single charging cradle (Part# CRD-TC8X-2SUCHG-01) Requires Power supply (Part# PWR-BGA12V50W0WW), DC Line Cord (Part# CBLDC-388A1-01), AC line cord (Part# 23844-00-00R) and USB Cable (Part# 25-124330-01R) for PC communication. For Quad charging dock (Part# CRD-TC8X-5SC4BC-01) Requires Power supply (Part# PWR-BGA12V108W0WW), DC Cord (Part# CBLDC-381A1-01), and AC line cord (Part# 23844-00-00R). TC8000, LIKE NEW. STANDARD, Wi-Fi (802.11a/b/g/n), Bluetooth 4.0, 2D Imager Extended Range (SE4850), 4" WVGA Display, 1/4GB, Android Lollipop 5.1.X, Accelerometer, North America. Interface cables and charging cradle sold separately. Single charging cradle (Part# CRD-TC8X-2SUCHG-01) Requires Power supply (Part# PWR-BGA12V50W0WW), DC Line Cord (Part# CBLDC-388A1-01), AC line cord (Part# 23844-00-00R) and USB Cable (Part# 25-124330-01R) for PC communication. For Quad charging dock (Part# CRD-TC8X-5SC4BC-01) Requires Power supply (Part# PWR-BGA12V108W0WW), DC Cord (Part# CBLDC-381A1-01), and AC line cord (Part# 23844-00-00R). TC8000, LIKE NEW. STANDARD, Wi-Fi (802.11a/b/g/n), Bluetooth 4.0, 2D Imager Medium Range (SE4750MR), 4" WVGA Display, 1/4GB, Android KitKat 4.4.3, Proximity Sensor, Accelerometer, North America. Interface cables and charging cradle sold separately. Single charging cradle (Part# CRD-TC8X-2SUCHG-01) Requires Power supply (Part# PWR-BGA12V50W0WW), DC Line Cord (Part# CBLDC-388A1-01), AC line cord (Part# 23844-00-00R) and USB Cable (Part# 25-124330-01R) for PC communication. For Quad charging dock (Part# CRD-TC8X-5SC4BC-01) Requires Power supply (Part# PWR-BGA12V108W0WW), DC Cord (Part# CBLDC-381A1-01), and AC line cord (Part# 23844-00-00R). TC8000, LIKE NEW. STANDARD, Wi-Fi (802.11a/b/g/n), Bluetooth 4.0, 2D Imager Standard Range (SE4750SR), 4" WVGA Display, 1/4GB, Android KitKat 4.4.3, Proximity Sensor, Accelerometer, North America. Interface cables and charging cradle sold separately. Single charging cradle (Part# CRD-TC8X-2SUCHG-01) Requires Power supply (Part# PWR-BGA12V50W0WW), DC Line Cord (Part# CBLDC-388A1-01), AC line cord (Part# 23844-00-00R) and USB Cable (Part# 25-124330-01R) for PC communication. For Quad charging dock (Part# CRD-TC8X-5SC4BC-01) Requires Power supply (Part# PWR-BGA12V108W0WW), DC Cord (Part# CBLDC-381A1-01), and AC line cord (Part# 23844-00-00R). TC8000 5Slot Charge Only ShareCradle with 4Slot Battery Charger, allows to charge 4 devices and 4 spare batteries. 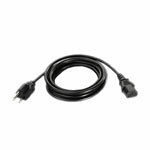 Requires PWRS-14000-241R, DC line cord 50-16002-029R and grounded country specific AC line cord, sold separately. TC8000 POWERPRECISION+ SPARE LITHIUM ION BATTERY, 6700 mAh. ADVANCED NEW BATTERY TECHNOLOGY, PROVIDES A HIGHER LEVEL OF INTELLIGENCE (STATE OF CHARGE AND STATE OF HEALTH) TO DELIVER MAXIMUM PERFORMANCE. TC8000 2-Slot Charge/USB ShareCradle, allows to charge 1 device and 1 spare battery.Required Cable sold separately: Power supply (PWR-BGA12V50W0WW and Cable Cable-DC-388A1-01) AC Line Cord (23844-00-00R). USB Cable (25-124330-01R) for PC communication. Service Contracts, 1 YEAR ZEBRA ONECARE SERVICE CENTER ESSENTIAL. DOES NOT INCLUDE Comprehensive coverage. DOES NOT INCLUDE COVERAGE FOR CRADLES. Service Contracts, 1 YEAR ZEBRA ONECARE ESSENTIAL RENEWAL. INCLUDES Comprehensive coverage. DOES NOT INCLUDE COVERAGE FOR CRADLES. Service Contracts, 5 YEAR ZEBRA ONECARE ESSENTIAL. INCLUDES Comprehensive coverage. DOES NOT INCLUDE COVERAGE FOR CRADLES.